A Baby Shower Word Search is a very common and fun game that your guests would enjoy playing during your baby shower, this is a very basic version of the game in this sheet we just have 15 baby related words and your guests have to find them! 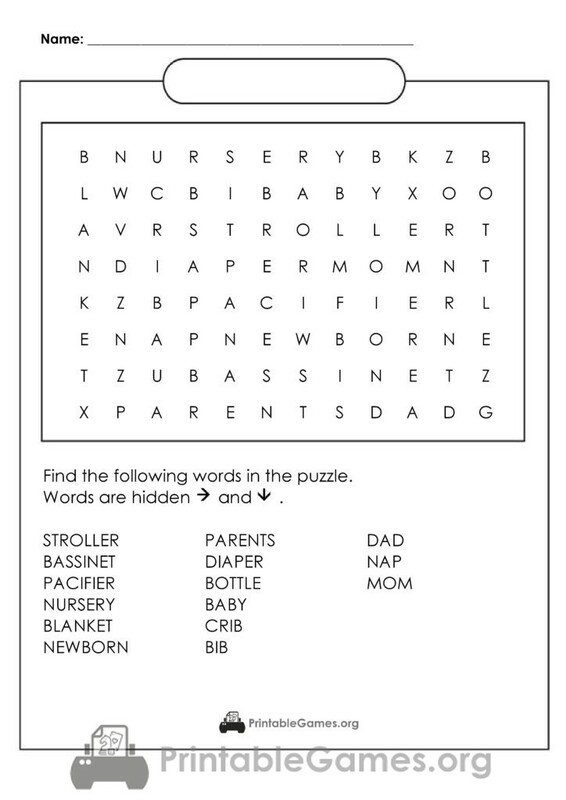 This Baby Shower Word Search game is not themed to any specific colors so you can use it if you do not know your baby’s gender or if you do not want to reveal it. © 2019 PrintableGames.org. All Rights Reserved.